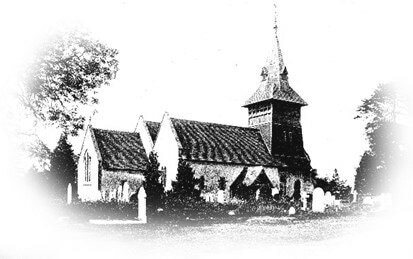 Friends of Steep Church is a charity which has been set up to conserve and enhance the church for future generations. Its formal purpose is ‘to assist in the restoration, preservation, maintenance, re-pair, improvement and beautification of the Parish Church of All Saints’, Steep.” We will help the Parochial Church Council in looking after all aspects of the fabric and surroundings of the church. Apart from the substantial building, this could include the monuments, the fittings and fixtures, and stained glass, as well as the furniture and ornaments in the church. The setting of the church is equally important and we will also be taking an interest in the maintenance and improvement of the churchyard belonging to the Church. The Friends will raise funds and use the money to make grants to those directly responsible for the care of the Church. The charity expects to be holding exhibitions, concerts, lectures and other fund raising activities in the church and, perhaps, further afield. By becoming a Friend, you……. ……will be directly contributing to conserving and enhancing the church and joining all those who have its interests at heart. To become a Friend, we would like you to pay……. • a regular subscription. This can be any amount of your choosing, but we would suggest a minimum annual subscription of £15 (£10 for those under the age of 25). If you are a taxpayer, a Gift Aid Declaration increases your subscription by 25p for every £1 donated, so it would also be helpful if you could complete the necessary information on the attached Gift Aid form. pay an annual subscription of £ ……... starting in ………..…(MMM/YYYY). I enclose a completed standing order form/cheque for the initial amount. I want to Gift Aid my donation of £ ……… and any donations I make in the future or have made in the past 4 years to the Friends of Steep Church (HMRC Charity Reference Number EW40680). I understand that I need to pay the same amount or more of UK Income Tax and/or Capital Gains Tax in a tax year as all charities will claim on my gifts and that I am responsible for paying any difference. donation to the FRIENDS OF STEEP CHURCH charity by Standing Order. payable until ............................ or until further notice. Please complete this form and return it to: The Secretary, Friends of Steep Church, 77 Church Road, Steep GU32 2DF. We will then forward it to your bank. You may, of course, also set up your standing order on-line with your own bank using our bank details as above. It would be helpful, in that case, if you would email us at FriendsofSteepChurch@gmail.com to tell us about it.